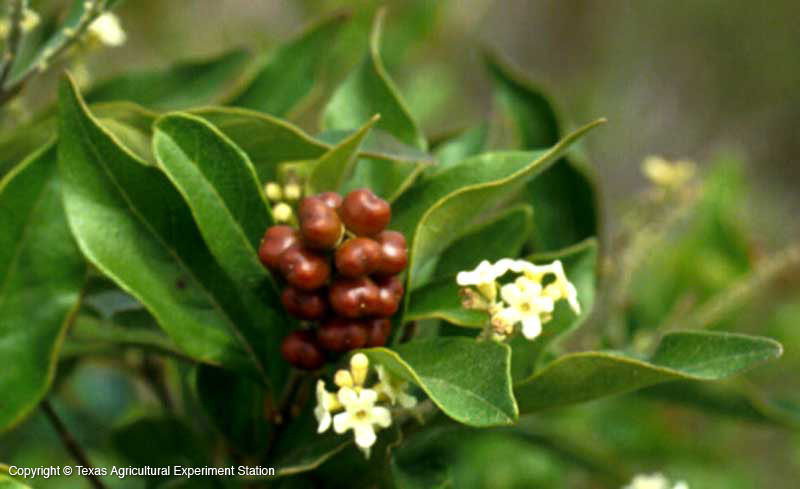 There are two species of Citharexylum native to the Lower Rio Grande Valley, the "fruiting" and the "flowering," C. berlandieri and C. brachyanthum, both of which have medium green, small ovate leaves with terminal spikes of fragrant white flowers and bunched, orange-red berries. 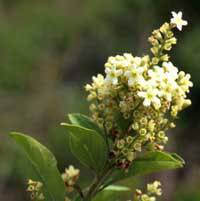 Negrito, C. berlandieri, the "fruiting Citharexylum," produces fewer flower spikes and a great profusion of berries that are relished by wildlife throughout the summer. 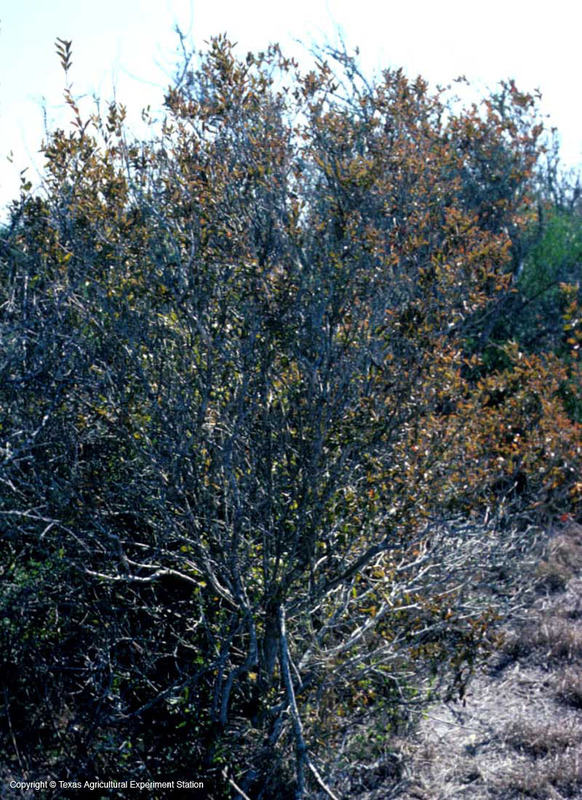 It can be a large unarmed shrub or a small, gnarled tree to 18 feet high. It is not common in its native southern Rio Grande Plains, found in thickets, flats and hillsides, and has many qualities which recommend it for landscape use in zone 9. It flowers from February though the summer with upright racemes of fragrant white flowers that attract butterflies. The profuse, lustrous berry clusters, orange ripening to black, are very striking and contrast brightly with the glossy green leaves and the mottled gray bark. Its dense growth habit provides cover and nest areas for birds, and makes it useful as a hedge. It thrives in hot, dry climates without wilting; during times of extreme drought, the leaves reportedly become tinted with orange. It is cold hardy only as far north as San Antonio. The names fiddlewood and zitherwood, as well as the genus name Citharexylum, refer to the fact that musical instruments were made from some species.